Clemson finished off yet another top ten class on Wednesday, featuring a crop of playmakers that would make any program in the country jealous. Big-time wide receivers, a versatile quarterback and a surprise pickup of an elite offensive lineman stole the headlines out of Tiger Town. So when Michel Dukes, a three-star running back from First Baptist School in Charleston, SC, committed and ultimately signed with the Tigers last week, most people didn’t give the news a second glance. Get to know him. Affectionately known as “Mikey,” a nickname given to him by his coach at First Baptist, Johnny Waters, Dukes is a dynamic prospect. We spoke with Coach Waters to find out a little more about Dukes. That comment alone should raise the eyebrows of Clemson fans. As good as the Tigers have been offensively the past few years, they haven’t had a running back who was a true receiving threat since C.J. Spiller caught 36 passes for 503 yards and four touchdowns back in the 2009 season. Since then, the Tigers have had running backs break 200 yards receiving just three times; Jamie Harper in 2010 (35 catches, 328 yards, 3 touchdowns), Andre Ellington in 2012 (14 catches, 232 yards, 1 touchdown), and Wayne Gallman in 2015 (22 catches, 226 yards, 1 touchdown). None of those three were feared catching the ball out of the backfield, however. That’s where Dukes comes in. Watching his film brings with it memories of a guy like Ray-Ray McCloud, who was deadly in space because of his ability to shake defenders and then burn the rest with speed. 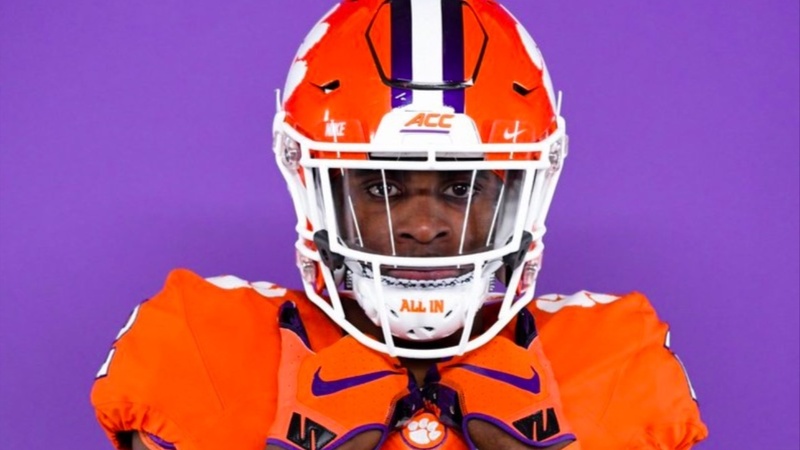 Although some people may question the Tigers taking Dukes because he was just a three-star recruit, but he held offers and had interest from major schools around the country like Syracuse, Arkansas, North Carolina, Oregon, South Carolina, Virginia, Virginia Tech and Georgia. So why is a guy like this so undervalued? “I think it’s because of the school he went to,” said Waters, referring to the size of First Baptist and their competition. But that doesn’t mean Dukes isn’t as good as any other prospect out there. Tony Elliott, who is notoriously selective when it comes to who he recruits, personally took visits to watch Dukes on multiple occasions. Elliott even had Dukes in his group at a Clemson camp when Dukes was in eighth grade, and Elliott usually only worked with juniors and seniors. As to why Dukes chose Clemson, it came down to two things that the Clemson culture has established; trust and family.